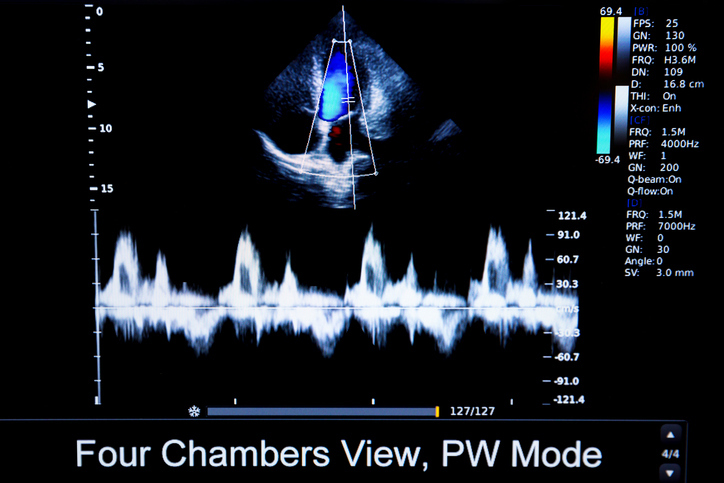 Definitions and examples of Heart Ultrasounds are presented in two views. 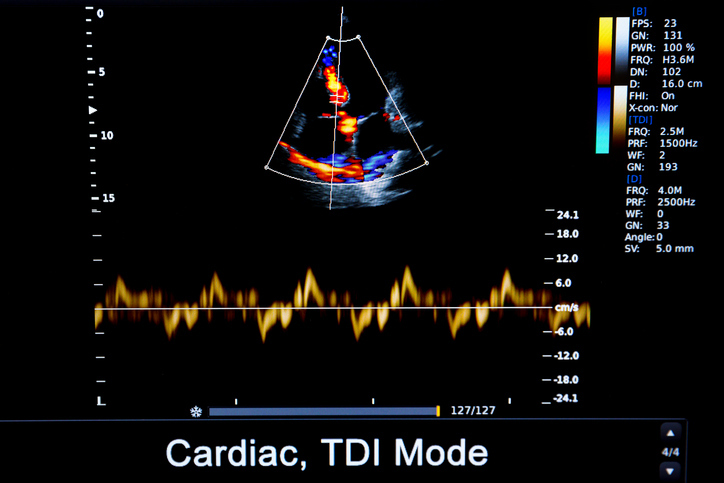 An ultrasound of the heart uses high frequency sound waves to create a live image from inside of a patient’s body. It is a painless test that is very commonly used in the medical field today. An ultrasound is also sometimes referred to as a sonogram, diagnostic sonography, or ultrasonography. The medical professional that performs an ultrasound is called a sonographer. A transesophageal echocardiogram uses the transducer probe in the esophagus, which is used to take clear images of the heart. 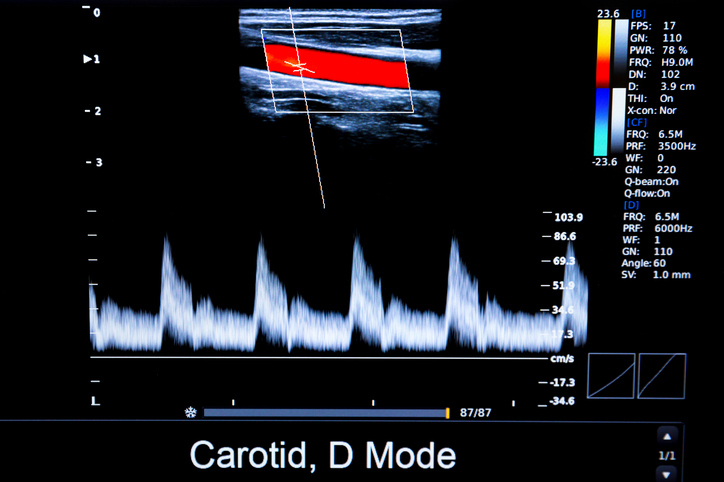 A heart ultrasound can be used to guide doctors or surgeons during a procedure, such as a biopsy. They are important in planning for certain types of therapy and surgery, as well as in the aftermath to determine whether the patient’s body is responding to treatment. 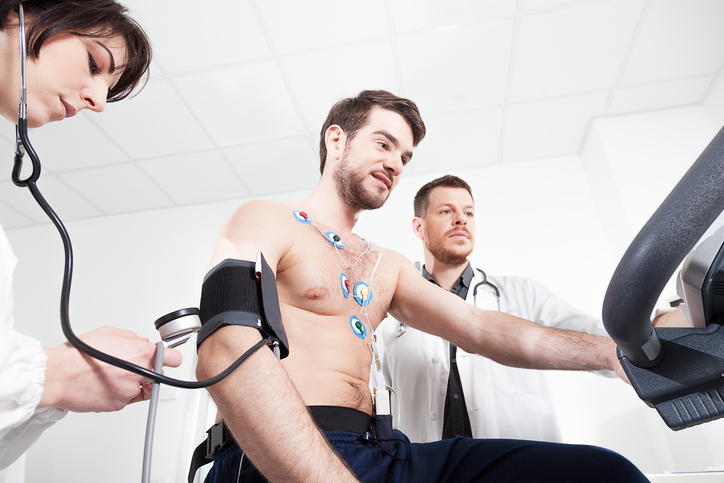 A heart ultrasound allows the physician to look at the size, shape, and motion of the heart. It shows the four chambers of the heart, the heart valves, the walls of the heart, blood vessels entering and leaving the heart, and the sac that surrounds the heart, otherwise known as the pericardium. 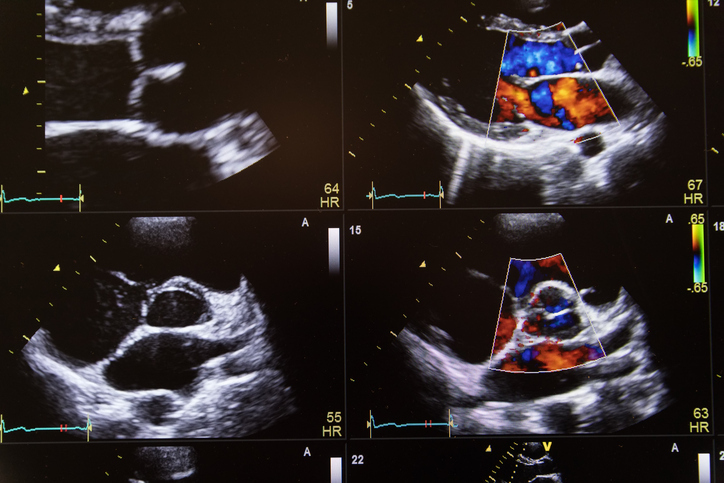 A heart ultrasound is used to see inside of the heart to identify abnormal structures or functions in the valves of the heart of in the heart muscle including a heart murmur or to diagnose valve conditions. An ultrasound of the heart measures blood flow through the heart and major blood vessels. An ultrasound of the heart helps detect fluid surround the heart as well as identifies growths in the heart. A heart ultrasound may help assess and monitor birth defects and help find the cause of chest pain. 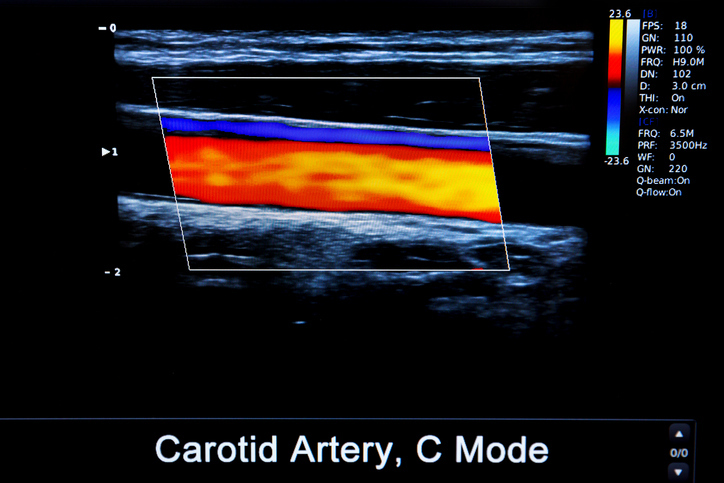 A heart ultrasound can also help physicians identify blood clots within the heart chambers. Above: Patients are closely monitored as they increase their heart rate before ultrasound images are taken. Above: Ultrasounds of the heart are used to check blood flow and help detect obstructions. 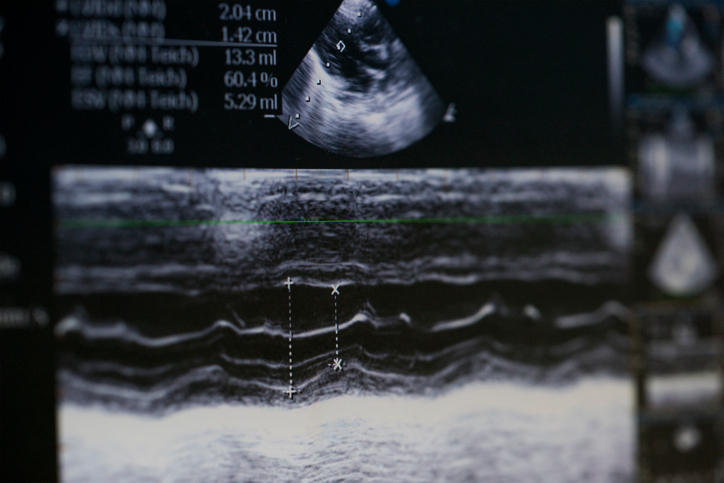 Above: Heart ultrasounds can identify a problem with the heart and help doctors treat it. 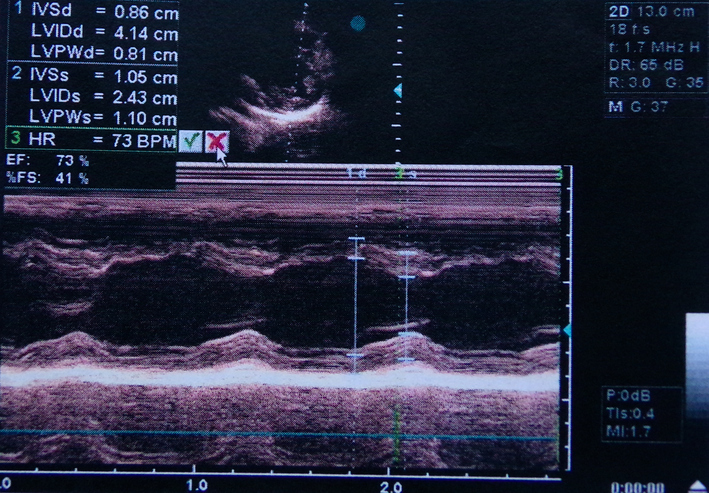 This ultrasound presents a total mitral insufficiency. 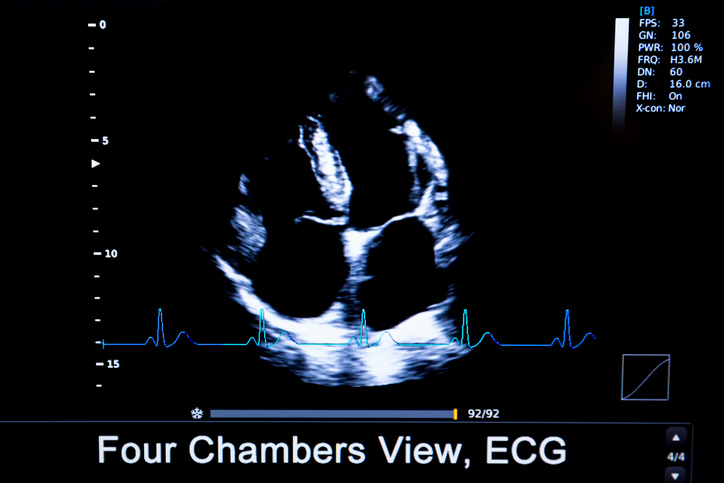 Above: Ultrasounds can measure the conditions of the heart such as the atrioventricular valve shown above. 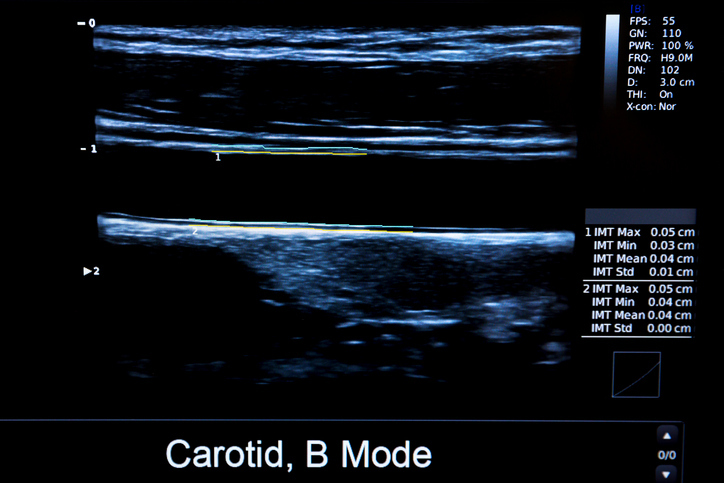 Above: Heart ultrasound of the carotid artery. Above: Ultrasounds can measure the conditions, including blood flow, to and from the heart all over the body. 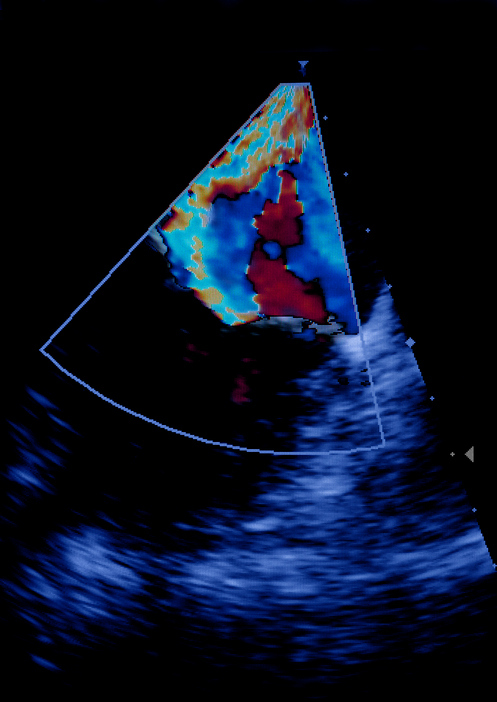 Above: A colorful ultrasound of the heart.